The 12ft Skiffs lined up for the first Interclub of the season on Saturday with a healthy fleet of 20 facing the starters. 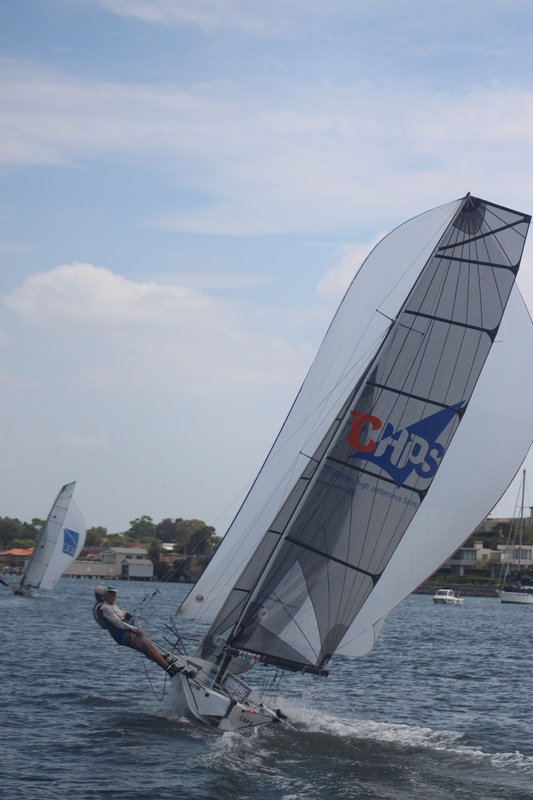 The Hey Charger crew of Ben Austin and Oscar Wilsons won the 12ft Skiff Parramatta River Championship in tricky 10 – 15 knots South Easterly conditions. Lane Cove 12ft Sailing Skiff Club hosted event. The majority of the fleet chose 3rd sails with a fresh forecast. A select few The Bird (Jamie McCrudden/ Glenn Farquar), Chapman High Performance Sailing (Jack Winning/ Brett Phillips) and Hey Charger (Ben Austin & Oscar Wilson) made a great call for the conditions and plugged in the 2nd rig. The Arrogant Frog (Peter Hill/ Steven Hill) where quick to get away at the start, a little too quick for the starters earning a recall. The Sydney Sailmakers (Nicholas Press/ Andrew Hay) lead the fleet away to the first mark with new comers to the class Icarus (Andrew Chapman/ Will Chapman) in close company. The 2nd rigs soon stamped their authority on the race with Hey Charger, CHPS and The Bird all mastering the condition to be in the lead bunch coming out of the river. The racing was fierce throughout the fleet with a couple of altercations as the fleet fought for a lane on the tight South Easterly course. Geotherm and CHPS fought all day with CHPS getting a nice run down the river to cement 4th place ahead of Geotherm. The lead was also hotly contested with Icarus, Sydney Sailmakers and Hey Charger all taking turns at the lead. The 3rd lap into Kerosene bay say Icarus drop off to leave the 2 skiffs to swap tacks all the way to the finish. With Hey Charger taking a well-deserved and hugely popular 1 second victory over Sydney Sailmakers. Hey Charger took home the double picking up the Handicap Honours as well. 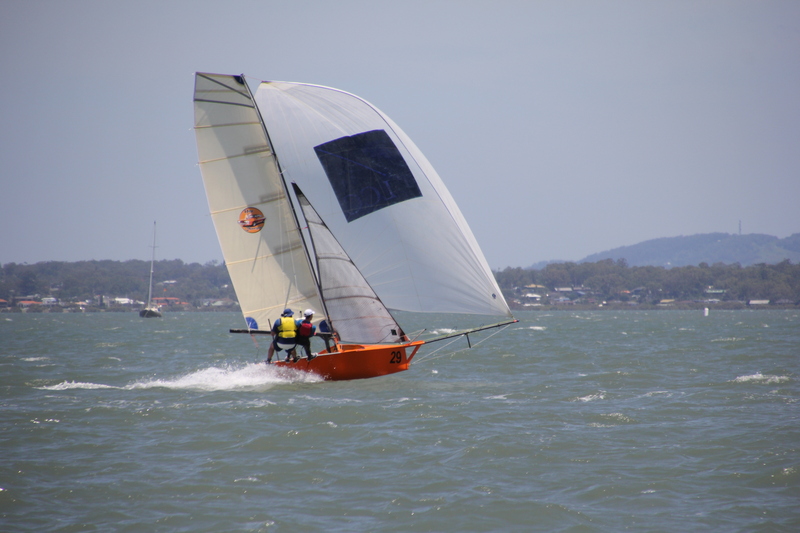 With a few more skiffs yet to hit the water it is looking like a bumper season for the 12s with plenty a new faces and fast boats in the fleet. The Interclub series will continue at Abbotsford 12ft Skiff Club with the Parramatta River Championship on 5th November. 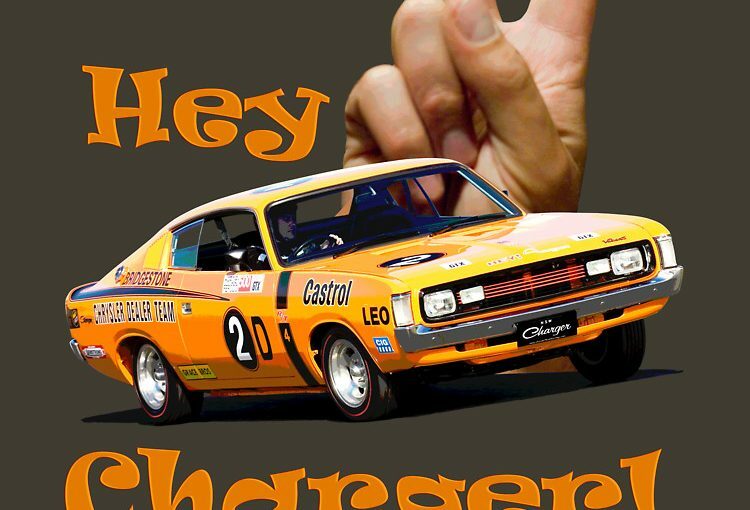 This entry was posted in News, Race Reports and tagged Lane Cove on October 17, 2017 by skiffed_2.